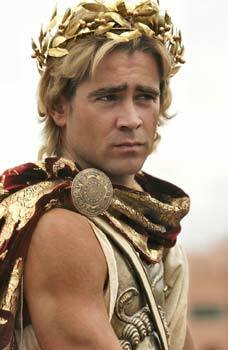 Colin Farrell suffered a deep depression and even considered quitting acting after his 2004 epic film ‘Alexander,’ directed by Oliver Stone, received negative reviews. The actor said he felt the need to apologize to everyone who saw the movie, according to the Toronto Sun. "That was tough. I say tough relative to a charmed life, but I'm not going to apologize for how much it affected me emotionally and psychologically. I was going to walk away from acting. I couldn't even buy a packet of cigarettes without feeling like I needed to say sorry to the guy behind the counter just in case he happened to see the thing,” he said. The box office failure of ‘Miami Vice’ in 2006, caused the star to fall into an even greater slump. "I just completely fell to s--- on that one,” Farrell revealed. “It was literally the first time I couldn't say to anyone around me, 'Have I been late for work, have I missed any days, have I been hitting my marks?' Because the answers would have been yes, yes, and no... I lost the ability to be confident that I could make a change myself."